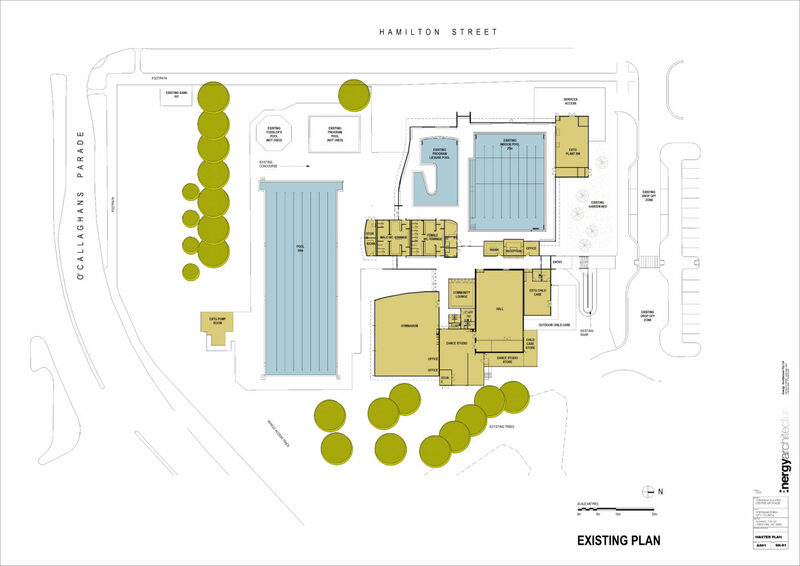 The Horsham Aquatic Centre is owned by the Horsham Rural City Council and managed on their behalf by the YCMA group. The main Aquatic centre building is around 10years old featuring a 25m indoor lap pool, indoor leisure pool, gymnasium, dance studio, amenities, recreation hall, kiosk and childcare facilities set on the grounds of the existing 50m outdoor pool constructed over 50yrs ago. In 2012, Horsham Rural City Council conducted a feasibility/investigation study of the 50m outdoor War Memorial pool, associated toddler pool and intermediate pools with options for the future of the site, together with an understanding of the views of the local community. 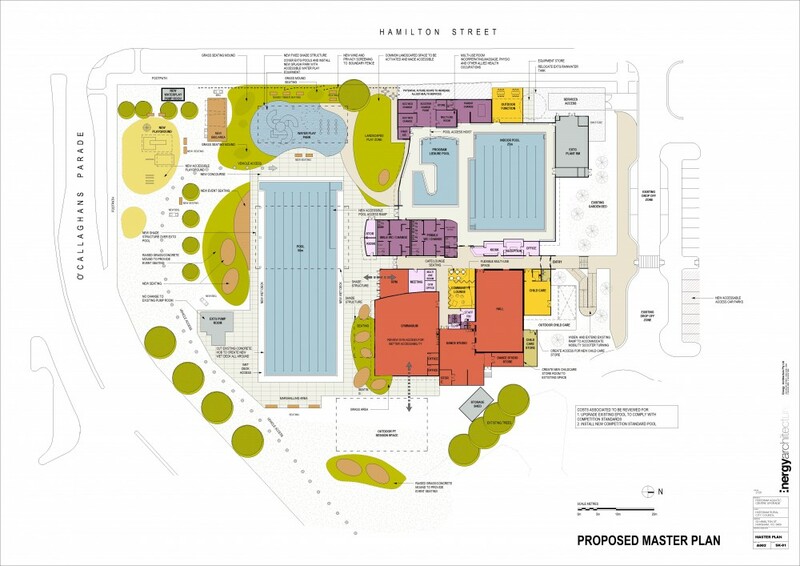 In late 2016, Horsham Rural City Council engaged Energy Architecture and it’s sub consultants to develop a proposed Masterplan for the entire facility heading into the future. After several conversations and meetings with members of the Horsham Aquatic Centre Steering Committee to ascertain key council/and or other services that could be incorporated into the complex, the attached proposed Masterplan has been developed for your consideration. We welcome your feedback on the following questions and Proposed Masterplan and thank you for your time. Have your say? We welcome your feedback on the proposed Masterplan by completing this SURVEY LINK. To view the larger images, simply click on the images to open in full screen.